Polly is a Partner and Head of Serious and Catastrophic Injury at CFG Law and has secured multi-million-pound settlements for her clients. Final settlements, however, are only a small part of Polly’s role. Polly is committed to ensuring her clients have access to the best possible treatment and support right from day one. This support is very much led by the individual needs and goals of her clients. When working with bereaved families, Polly will often work alongside the Police Family Liaison Officer to guide families through any Inquest and criminal proceedings, as well as coordinating support where necessary. 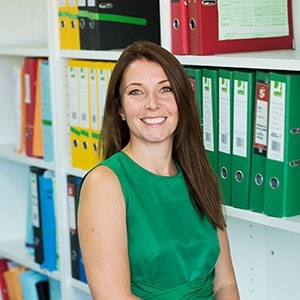 Due to her recognised and longstanding work with bereaved families, Polly provides Civil Law training to Family Liaison Officers across England and Wales. Really listening to her client and establishing what their main concerns are to assist and find a solution. A real team player; working with clients, their families and other solicitors in the team. Organisational skills that are second to none – having a structured support plan to ensure all the needs of her clients are considered is a real strength of Polly’s. Acting on the real needs of clients and ensuring full support packages are put in place. The Client First Service which ensures clients get the best level of service from every aspect of their case. A supportive team and a Practice that develops everyone to reach their full potential. Advancing research and understanding into the treatment of traumatic brain injuries. Developing technology to assist wheelchair users and maximise their independence. Music (the more guitars the better), snowboarding, running and the mayhem that comes from having two small children!